Please be aware we no longer operate opening hours and instead all visitors are welcome by appointment only. Please email for appointment if choosing hens or wishing to look at poultry housing. Hen collections are STRICTLY by appointment only. Please be aware opening times may be subject to fluctuation, due to circumstances out of our control - please check times on day of travelling. 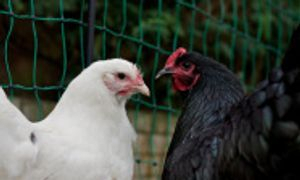 Here at Bev's Poultry we hope to pass on our passion for keeping poultry to hobby keepers. Having started keeping poultry in 2004 - initially to get a few eggs for the kitchen our hens suddenly took over our lives.. Over time we started breeding hens and this is what got us to the point we are at today. Sadly keeping hens is never going to pay the household bills so we work full time and in our spare time look after our birds and offer as much advice that we can to people that are interested in starting to keep hens. We aim to get people started in keeping poultry offer advice so that you don't make the same mistakes we made when starting out. We have available everything you could need to start keeping hens. Our products are available from our online shop - to be collected - unfortunately we cannot post items out (Greenfrog poultry coops can be ordered online and delivered to home address). 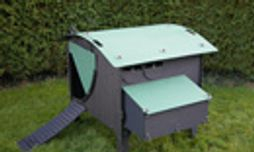 Feeders, Drinkers and all poultry essentials are available on site. As well as Poultry Feed and bedding. All the products that we sell are products that we use ourselves and can recommend. Our aim is always to offer good quality products at realistic prices. 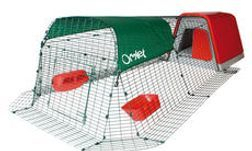 If you need to go on holiday we can even offer chicken boarding facilities for your chickens. So, whether you are just starting out in a new hobby, or have had years of experience we are here to help and advise.